Bloody, detailed, action-packed account of Chinese history from the warlord-ridden 1920s to the reformist 1980s from the perspective of three generations in one family. Through the eyes of three generations of women in one family, we learn about China’s tumultuous transition from the corrupt “warlords & concubines” era in the 1920s, to the “heaven on earth” 1950s, to the rough 1960s to the “post-Mao, reformist era” of the 1980s. Together, over six decades, their stories document China from both urban and rural perspectives, from both coastal and inland perspectives, and from the perspectives of every rung on the social ladder. 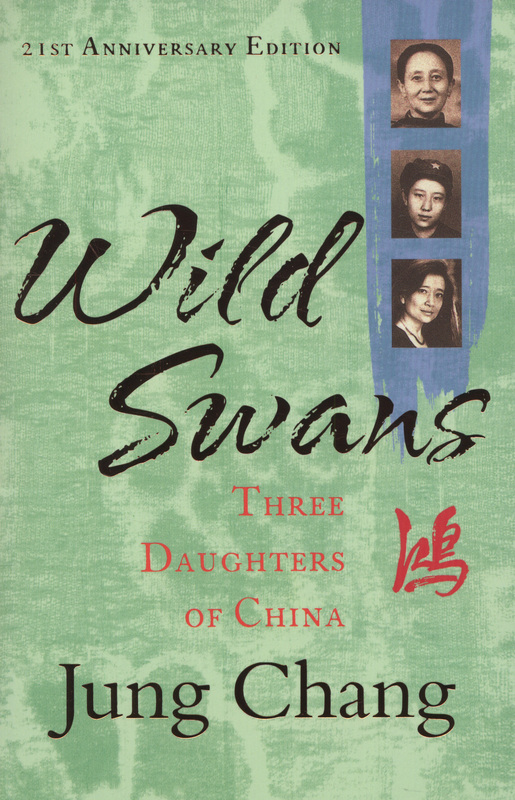 Wild Swans covers basically every aspect of China’s transition—it’s an excellent starting point for studying modern Chinese history. There’s also focus on Chairman Mao in this book. This is inevitable, as he dominated every Chinese person’s life from the Lei Feng cult (1962) to the end of the worst of the Cultural Revolution (1972). Jung Chang’s next book is a 1000-page biography of the Chairman himself, and it’s on my reading list. In conclusion, while Communist China was bloody, violent and imperfect, Wild Swans suggests it was a more progressive and much happier place to live than the Nationalist China that preceded it. This conclusion isn’t obvious, however, from the number of pages that Wild Swans devotes to graphic descriptions of each historical episode. Wild Swans also paints a more flattering picture of the Communist regime than does Mao’s Last Dancer, whose author was born after Nationalist rule had ended.